CARVELL, FRANK BROADSTREET, lawyer, businessman, and politician; b. 14 Aug. 1862 in Bloomfield, N.B., son of A. Bishop Carvell and Margaret Lindsay; m. 28 July 1887 Caroline B. Parks in Lakeville, N.B., and they had a daughter; d. 9 Aug. 1924 in Woodstock, N.B. Frank Carvell was born in the village of Bloomfield, about a mile from the Maine border and twenty miles from Woodstock. His father was a farmer descended from loyalist stock; his mother was of Ulster Irish background. The family, which included altogether four boys and two girls, were devout Wesleyan Methodists and Frank attended church regularly throughout his life. Carvell was educated in the public schools of Bloomfield and Woodstock and then taught school for a time, obtaining a first-class teacher’s licence in December 1884. Two years after his marriage to Carrie Parks in 1887, he enrolled in Boston University. He was awarded the llb degree with honours in 1890 and returned to Woodstock to practise law with Lewis Peter Fisher. Quickly successful, he earned a reputation as a powerful advocate and formidable prosecutor. He was elected to the Carleton County Council and became a well-known businessman who held considerable stock in the Woodstock Power Company and the Carleton Electric Company. He was also a director of the New Brunswick Telephone Company Limited. In due course he purchased the Carleton Sentinel, a vigorous voice for Liberalism in the province, and he was for a time a principal shareholder in the Carleton Observer as well. For several years he served in the 10th (Woodstock) Field Battery of the Canadian militia, retiring as a major in 1906. The following year he was gazetted a kc. 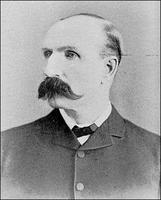 In 1899 Carvell had successfully contested the Carleton seat in the provincial election as a Liberal candidate. 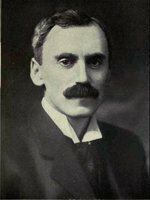 He resigned in the fall of 1900 to run for Carleton in the Canadian House of Commons and lost by 255 votes to the incumbent Conservative lumber merchant from Woodstock, Frederick Harding Hale. Carleton County had a population of just over 21,000 in 1901, and Woodstock, Carvell’s home base, 3,644. A great majority in the county earned their livelihood from the land. Sturdy, hard-working rural people, practically all of whom had been born within the province, they were English-speaking and Protestant and many harboured a strong anti–Roman Catholic bias. Both locally and federally Carleton was long regarded as a Conservative stronghold. Carvell challenged the dominant religious and political sentiments of the county. In New Brunswick politics, where he was deeply engaged during his Ottawa years, he strongly championed a tight alliance between Roman Catholic Liberals, who dominated the northern half of the province, and Protestant Liberals in the south. 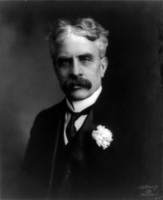 In national politics he took the seat as a Liberal in 1904, when he had a majority of 274, and again in 1908 and 1911. In 1917, in the conscription election, Carvell would win the Victoria and Carleton seat as a Unionist (conscriptionist Liberal) by acclamation. Using the same combative tactics, Carvell joined New Brunswick Liberal organizers Edward S. Carter and Peter John Veniot* in forming the “Dark Lantern Brigade” to crusade against James Kidd Flemming’s Conservative government. Flemming, who represented Carleton in the provincial house, was Carvell’s “personal adversary.” In March 1914 Carvell, in Ottawa, charged that a member of Flemming’s caucus and promoter of the tiny Southhampton Railway in New Brunswick, James K. Pinder, had illegally received federal subsidies for building the road. A commission in July confirmed the charges. Meanwhile, backed by Carvell, Louis-Auguste Dugal, one of two Liberal members in the New Brunswick house, in April charged that Premier Flemming was involved in kickbacks to his party in the renewal of timber licences and in similar kickbacks from the contractors for the Saint John Valley Railway. A provincial royal commission, chaired by judge Harrison Andrew McKeown*, was appointed to investigate the charges and Carvell served as lead counsel for Dugal. Made public in November, the commission’s report exonerated Flemming on the charge that he had directed the kickback scheme for timber licence renewals but found that he had compelled a railway contractor to make a contribution to the party. The following month Flemming resigned from office and his seat in the legislature. Carvell had joined for the duration of the war. It was a difficult role for him and for his colleagues. His talent as a destructive critic had to be reined in for the responsibilities of governing. Several victims of his slashing attacks now sat with him in cabinet. He did not like them and they did not like him. Still, there was a job to do. He was chairman of the committee overseeing the construction of the new centre block of the Parliament Buildings following the disastrous fire of 1916. Just before the conscription election in December 1917, he and his old foe J. D. Reid were dispatched to Halifax to organize and supervise relief efforts after the Halifax explosion. Though in office, he remained an adamant opponent of government ownership and operation of railways, telling a Montreal audience in February 1918 that “Government operation of railways has been one of the most tragic failures this country has ever seen.” As soon as the war was over he announced his opposition to the business profits tax, initiated in 1916 but an “improper” measure in peacetime. Yet he firmly believed in extending the scope of the income tax, arguing that the tax on higher incomes should be increased and that every person earning one thousand dollars should pay “not a very big tax, but enough to cause him to realize that he is helping to pay the taxes of this country.” In his own department he took pride in cutting expenditures by 2 million dollars in fiscal 1917–18 and another 1.5 million in 1918–19. In the spring of 1919, however, with the war over and rising unrest in Canada, he defended increased expenditure on public works in major cities to keep people employed. This, he told the commons during the debate on the speech from the throne, would ensure that “we shall have no Bolshevism or anarchism and many of our difficulties will be solved.” Then, almost as suddenly as he had entered the government, Carvell, in August 1919, announced his resignation. Carvell was willing to rejoin the Liberals but they would not have him. As the Saint John Telegraph Journal later remarked, he had “burned his bridges behind him” in 1917. Instead, Borden offered and he accepted the chairmanship of the Board of Railway Commissioners. There, in a quasi-judicial position, regulating the railways, telegraphs, and telephones, Carvell and his fellow commissioners were responsible for the investigation of railway accidents (there were 2,093 in 1920 with 254 persons killed and 2,330 injured), authorizing the placement of railway stations and the level of service they would provide, and approving freight tariffs and telephone and telegraph rates. Most of the nearly 4,000 applications the board received annually were routine and handled by the staff. But the commissioners conducted investigations and public hearings and rendered written judgements in major cases. Here Carvell’s legal training in Boston decades before came to the forefront in his carefully crafted decisions on complex issues. It was a long way from the excitement and challenge of blistering attacks in opposition, even from the brief flirtation with power in the cabinet. Nevertheless, the appointment kept Carvell involved in public life while allowing him ample opportunity to return home to Woodstock on weekends to his family and his beloved farm on the outskirts of town, where he had four hundred head of purebred cattle. That was Carvell’s routine in the early 1920s. Then, on a hot and humid Saturday, 9 Aug. 1924, just before dusk, he died. He had arrived from Ottawa in mid afternoon, gone to the farm, and walked to the far end of the property where his farmhands found him, dead of a stroke. Predeceased by his daughter, he was survived by his wife, one brother, and his two sisters. 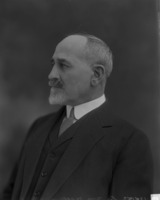 The main collections of manuscripts documenting Carvell’s career are held at the NA: Sir Robert Laird Borden papers (MG 26, H), Sir George Eulas Foster papers (MG 27, II, D7), Sir Edward Kemp papers (MG 27, II, D9), Sir Wilfrid Laurier papers (MG 26, G), and Arthur Meighen papers (MG 26, I). Useful newspapers are the Carleton Sentinel (Woodstock, N.B. ), Gazette (Montreal), Globe (Toronto), Halifax Herald, Morning Chronicle (Halifax), Ottawa Citizen, Ottawa Evening Journal, Telegraph-Journal (Saint John), and Woodstock Press. Robert Craig Brown, “CARVELL, FRANK BROADSTREET,” in Dictionary of Canadian Biography, vol. 15, University of Toronto/Université Laval, 2003–, accessed April 19, 2019, http://www.biographi.ca/en/bio/carvell_frank_broadstreet_15E.html.